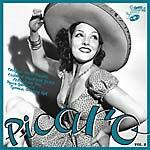 From the basement of small, secluded shops selling electrical appliances in the provinces and exquisite albums of singles from the select discotheque of piano bars and top-class singles bars, Grumete Records serves up a cocktail of versions that have never been heard before, with Picaro Vol.2. Mysterious instrumental tracks and bizarre, inexplicable pieces performed by disheveled orchestras and forgotten or half-forgotten soloists. The Argentinian trumpeter Tulio Gallo performs a Russian classic to a twist beat luring listeners irresistibly onto the dancefloor. Pantaleón Perez Prado emigrated from Cuba to Italy and recorded material for European labels. Eclipsed by his brother's huge success, his work went unnoticed until Grumete rescued this magnificent version of "Guaglione". Many Italians travelled to the USA to try to get their talent recognized but Nino Rienzi alone managed to unite the elegance of the popcorn sound with an exotic and oriental rhythmic base. The French pastis moment comes with the frenzied saxophones, intoxicating sound and more oriental rhythm on "When", written by Paul Evans in 1958 with Francis Linel on vocals. This track is followed by Armand Canfora conducting a composition by Jacques Dutronc and Roger Morris et Son Orchestre performing "Oriental Express", a rare moorish jazz number. The orchestras on the first side of the record give way to wilder and more unusual performances on the second side - Renderings of rock, twist, fox and beat, all sung in Spanish. Long-forgotten soloists like Juan Ramón, the Mexican Hermanas Montoya or Angelito. The flawless version of "Bang Bang" by Kinita stands out on the album; a little known track that was released, with different orchestral arrangements, as a promo record for Fundador. The priceless "Escóndete" by a youthful Angelito Pachín dressed as a cowboy also stands out. And to top it all, Los Tarahumaras provides the best beat version of "Taboo", the composition written by Margarita Lecuona: a hard-to-find track taken from an EP released by Orfeón in Mexico. Also features: Peter Hinnen, Mr. Sax, Juan Ramón, Los Golden Boys, Dave Dacosta, and Los Risueño. Edition of 500. "With the overdose of options and the transience of tastes, we've moved from covering up styles in search of exclusivity, to a sometimes tiring determination to rescue minor musical tendencies. This material is -- or has been -- completely forgotten by the general consensus of the experts. It might be fitting, out of humility and passion, to ask oneself if this matter has been fair, or even if it's had any sort of importance. In the face of desires to astound and be the first in the spotlight (by throwing down big cash and following trends), there are few of us lunatics left determined to find little specks of gold among disparate songs and barren sands. Also, being honest with ourselves, we will accept that we're people who try, sometimes unsuccessfully, to avoid confusing value and price. Needless to say, we are not completely immune to this confusion but rather susceptible to it. 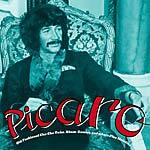 Pícaro, the compilation that I have the honor of presenting, is a record as modest in its aims as it is ambitious in its starting point. Enjoy and discover, share and dive in among vinyl discs left to their fate in the bins of dusty second-hand stores. It is a true celebration, without rhyme or reason, of often-ignored and decisive episodes. Disheveled orchestras, twist and rock and roll, R&B and Latin soul. Every possible combination. Having finished this self-satisfied selection, I do solemnly swear on my record collection, that 'impeccable' is the only qualifier fit to describe it. Therefore, let's humbly recognize our deficiencies. Like a village idiot, let's just be ecstatic about these discoveries. We'll be tolerant and accept that they'll probably qualify us as just a few more visionaries or, gasp, much worse, hipsters. But let's not stop -- don't ever stop Don Javier, I beg you, carrying on with this madness. I can think of no more worthy way of maintaining our sanity." --Don Sicalíptico; Compiled by El Coloso de Roda. 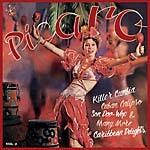 Includes liner notes in English by music expert Don Sicalíptico. Limited to 500 copies worldwide.